← Best in a long time! So, I’ve been sick for about a week now. Coughing, fever, sore throat.. you name it. So I’m going a little crazy. 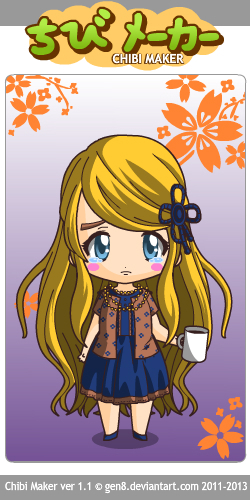 Also, someone linked to a Chibi maker at one point, and I’ve been going a little crazy with that as well… Oops? It’s pre-coffee me. That’s always a sad time. Totally adore your Warlock, so cute. This thing is way too addictive though.